Item # 311052 Stash Points: 1,999 (?) This is the number of points you get in The Zumiez Stash for purchasing this item. Stash points are redeemable for exclusive rewards only available to Zumiez Stash members. To redeem your points check out the rewards catalog on thestash.zumiez.com. 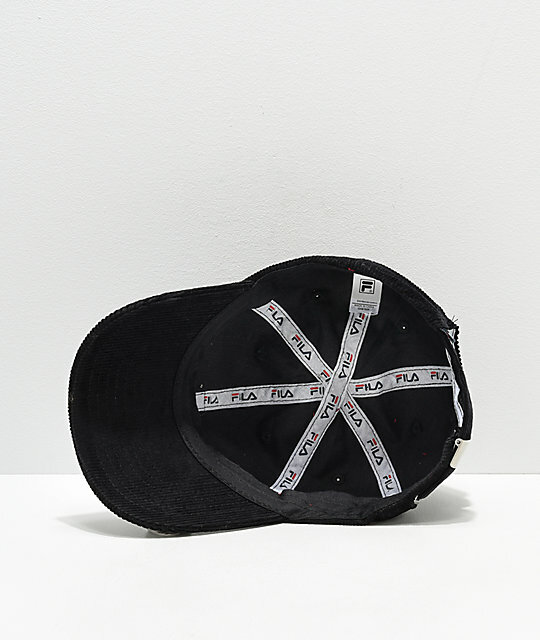 Get a unique look from the streetwear giant with the Heritage Black Corduroy Pom Hat by FILA. 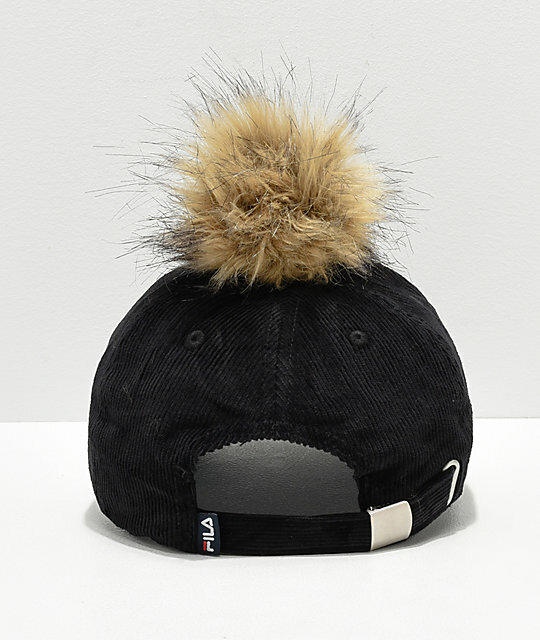 This baseball hat is made with a black corduroy construction while the fuzzy pom detail at the crown gives it a beanie silhouette. 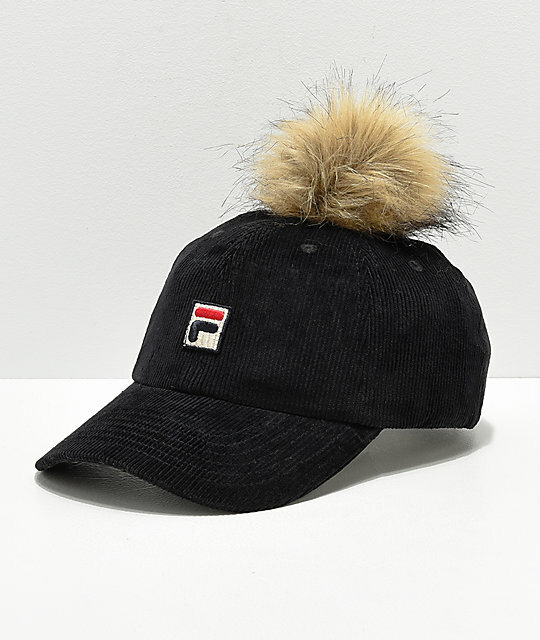 Heritage Black Corduroy Pom Hat by FILA.